This elegant gentleman's folder from Clyde Challenor Customs offers fine lines and flawless fit and finish. 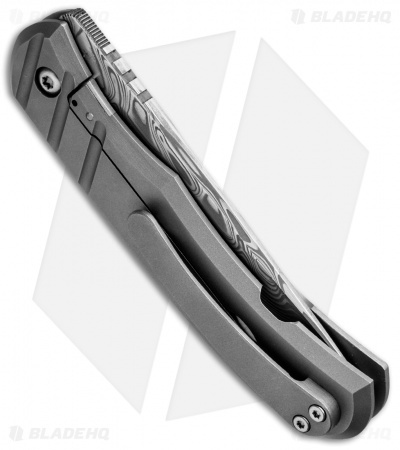 The Hornet frame lock knife is equipped with a titanium handle and a carbon fiber front scale. 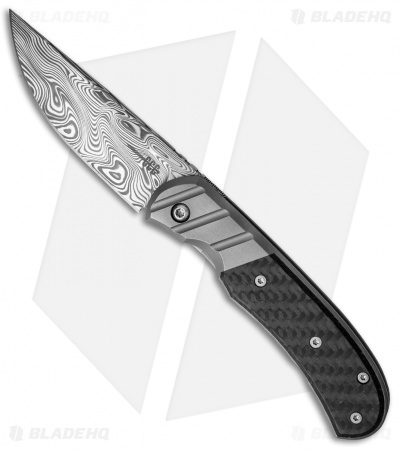 It has a standard blade design made from beautiful damasteel material. Item includes a titanium pocket clip for tip up carry. Damasteel blade adds an elegant appearance to the piece. Milled titanium pocketclip for comfortable everyday carry. 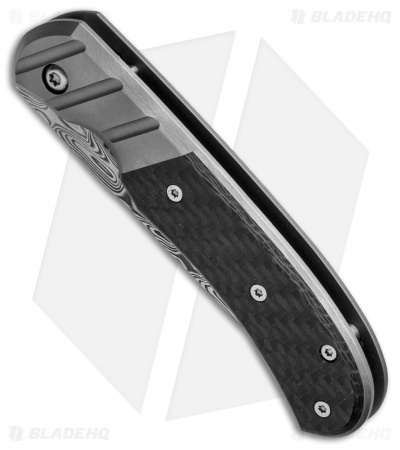 Titanium and carbon fiber handle provides lightweight strength and durability.